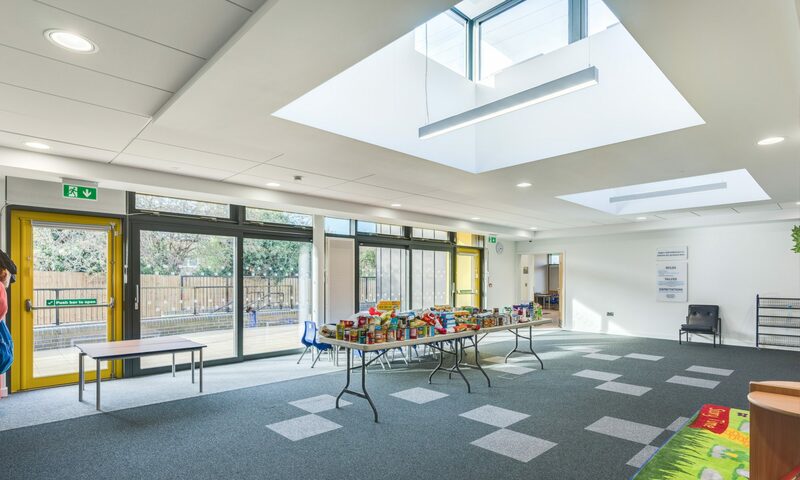 The expansion to James Elliman comprises a 1 FE extension providing 7 new Classrooms, an extension to the Dining Hall and new administration areas including, Reception, Staff room and teaching offices. 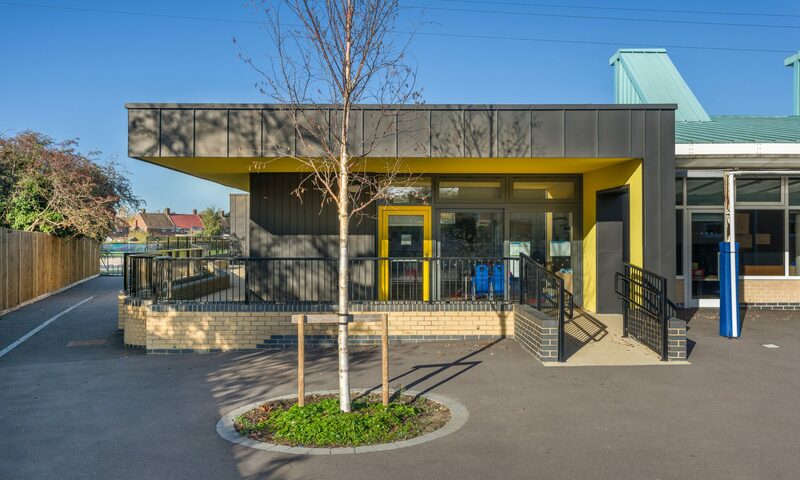 A key concept in the development of the design has been to provide a building that responds to the existing school both visually and practically. 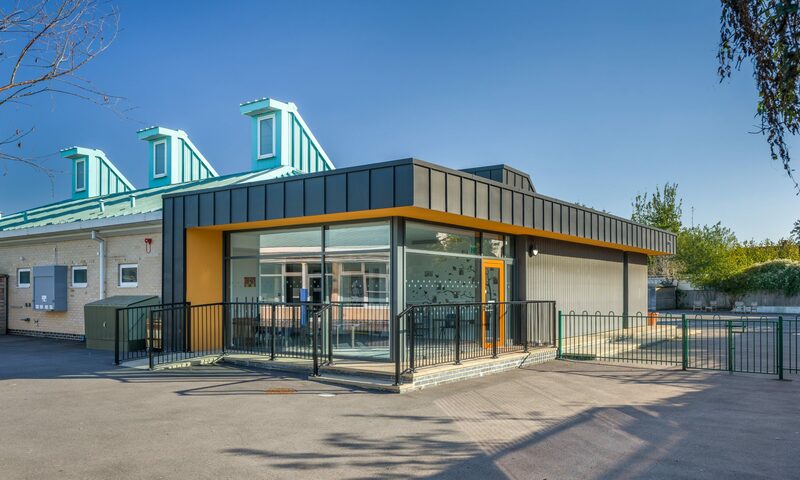 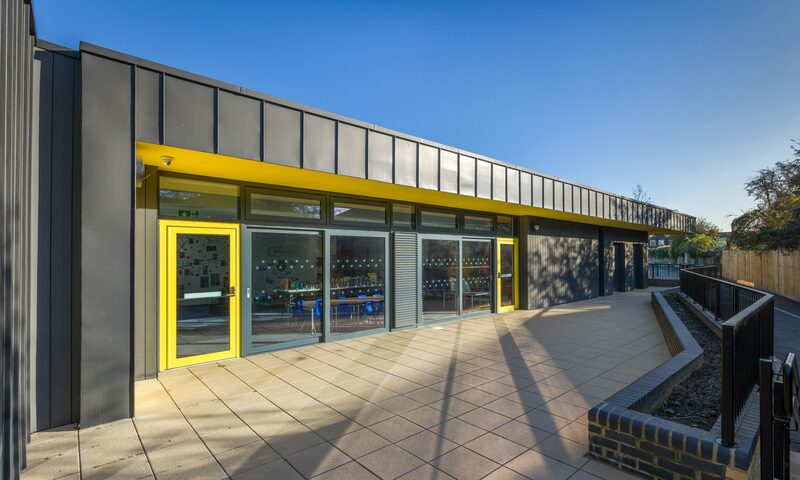 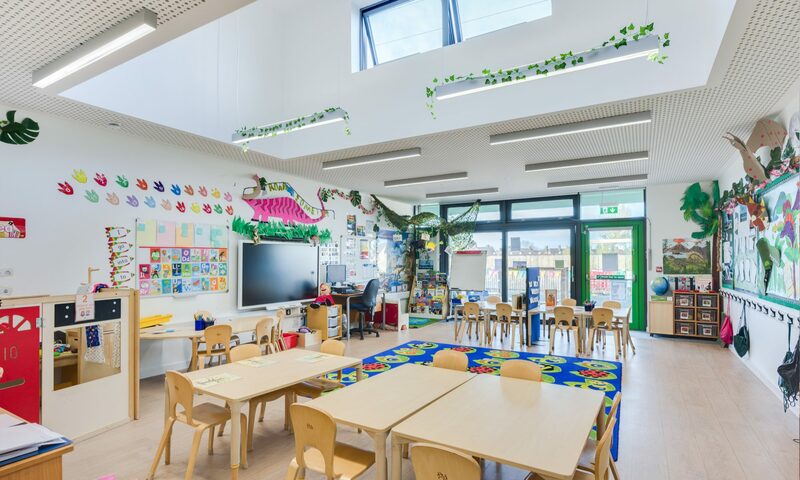 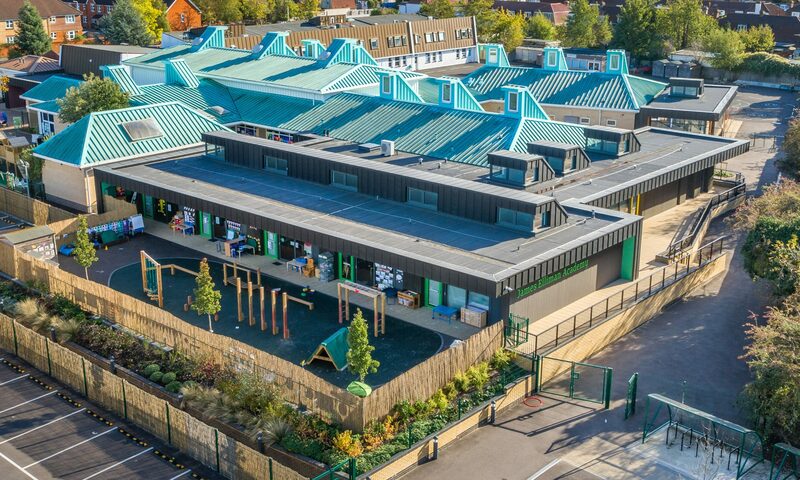 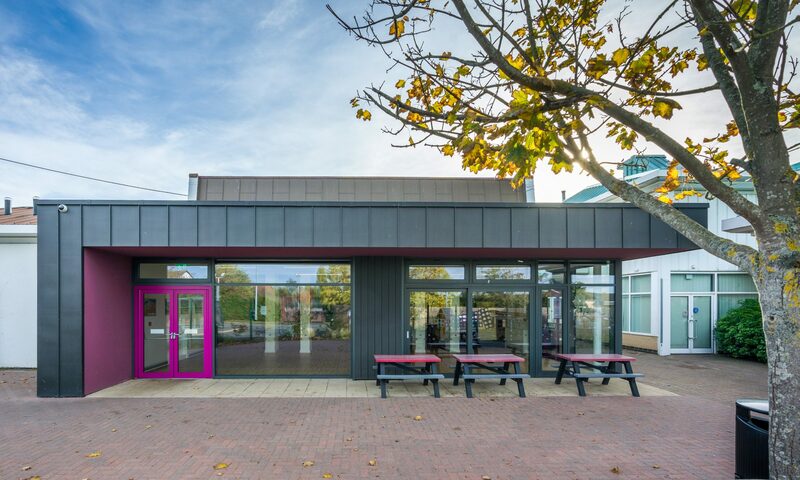 Design features of the existing school, such as standing seam metal, vaulted rooflights and vibrant colours, have been introduced to create a calm dialogue between the two existing phases and help unify the school. 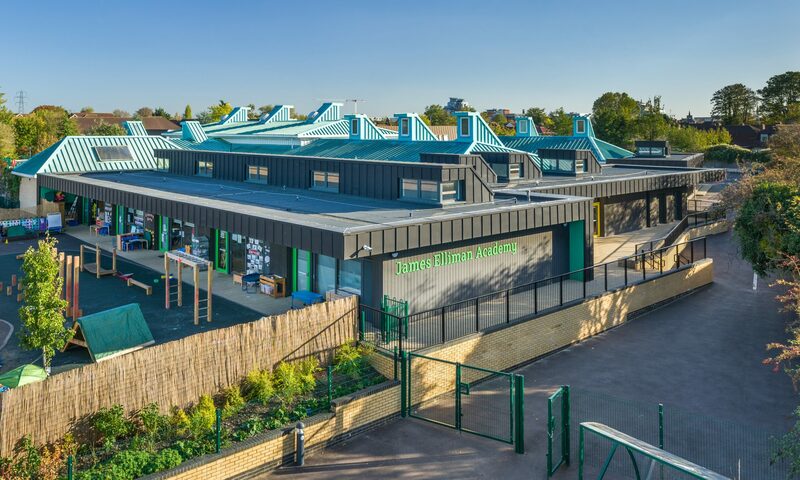 The proposals provide better external connection to the playing fields, and help rationalise the circulation routes around the site.